In Part 5, we restored the contents of a Datastore Entity back into itself after having “accidently deleted” the VMs inside, and this took time to complete. There are use cases where this restore approach may not be necessary, and we can simply roll back the datastore to a snapshot which takes hardly any time at all. Here’s how we do it. 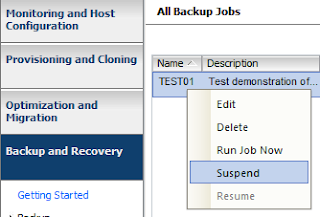 - Right-click the datastore and choose Unmount, and follow the ‘Remove Datastore Wizard’ to complete the task. Note: All VMs must be either moved, unregistered, or deleted first! Note: Depending on how far you roll back, you may want to delete some of these backups first (the future backups after the restore point won’t work!) Here we’re just rolling back to the latest so nothing to delete. WARNING! This will revert the volume to a previous snapshot. All modifications to the volume after the snapshot will be irrevocably lost. Volume LONNFSVOL3 will be made restricted briefly before coming back online. Wed Apr 24 12:17:06 GMT [LONNTP01:wafl.snaprestore.revert:notice]: Reverting volume LONNFSVOL3 to a previous snapshot. 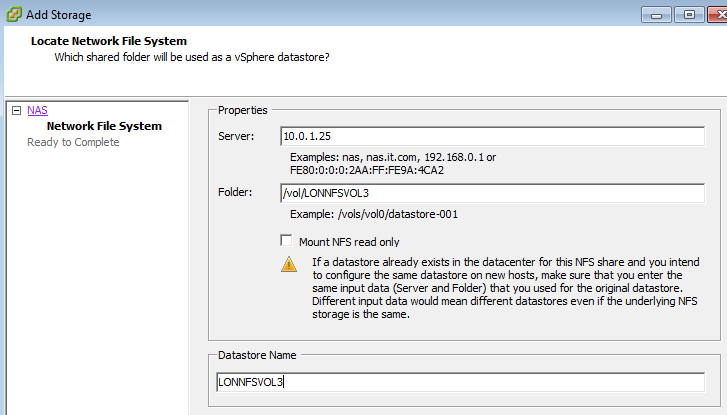 And repeat adding in the NFS datastore using the method above for the remaining hosts, or use the ‘Mount datastores’ button as below. Note i: The ‘Mount datastore’ button only works if at least one host can already see the datastore to be mounted. Note ii: The VSC doesn’t have a Mount datastores button when the Cluster object is selected. 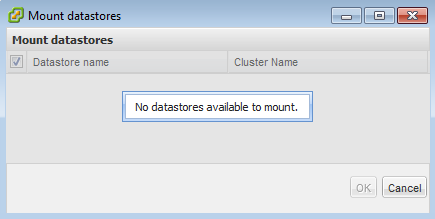 Image: Mount datastores - “No datastores available to mount” when no hosts know about the datastore to be mounted! Whenever i want some drawback relating this issue I return to your web site and obtain terribly informative stuff thanks plenty for your article . Keep it up.